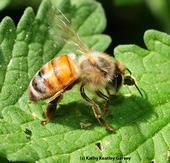 August 19th is National Honey Bee Day: Dr. Elina Niño reminds us to help honey bees cope with pests. 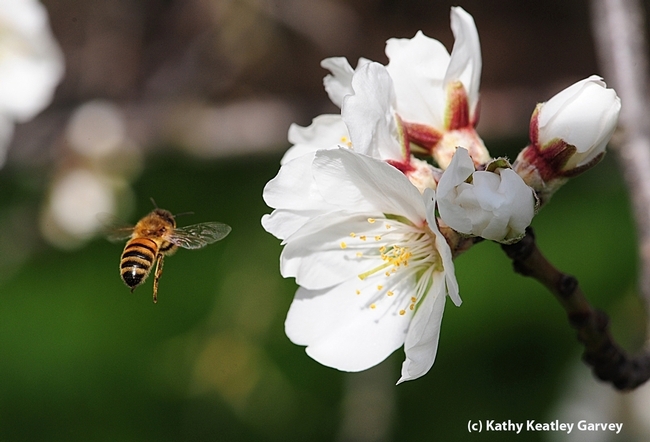 National Honey Bee Day is celebrated on the third Saturday of every August. This year it falls on Saturday the 19th. If you use integrated pest management, or IPM, you are probably aware that it can solve pest problems and reduce the use of pesticides that harm beneficial insects, including honey bees. But did you know that it is also used to manage pests that live inside honey bee colonies? 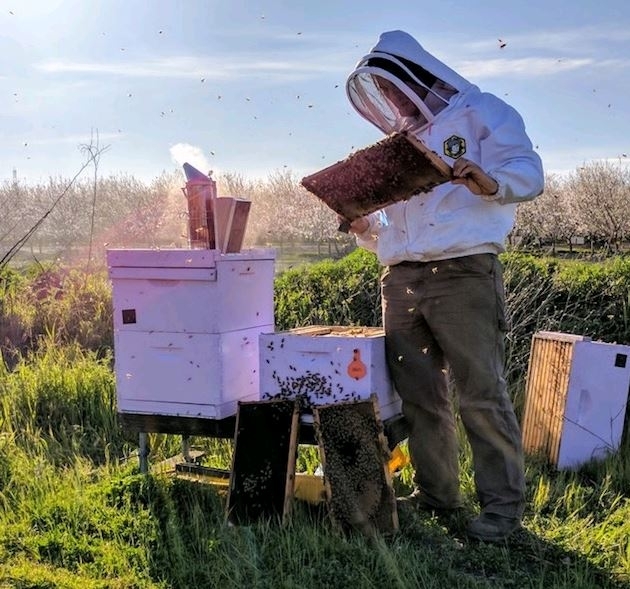 In this timely podcast below, Dr. Elina Niño, UCCE apiculture extension specialist, discusses the most serious pests of honey bees, how beekeepers manage them to keep their colonies alive, and what you can do to help bees survive these challenges. To hear the audio recording, click here. To read the full transcript of the audio, click here. Calderone N. 2012. 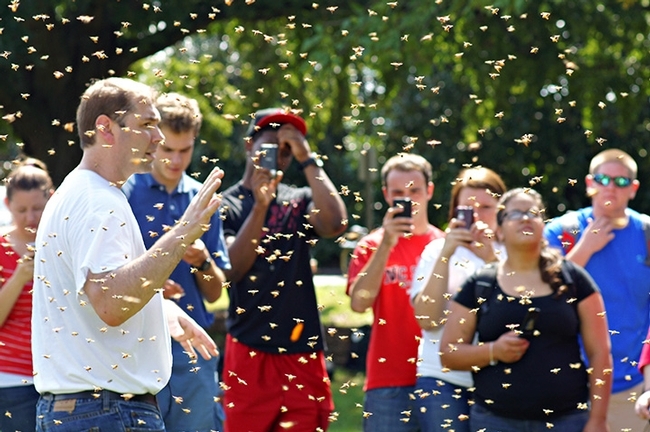 Insect-pollinated crops, Insect Pollinators and US Agriculture: Trend Analysis of Aggregate Data for the Period 1992–2009. Flottum K. 2017. U.S. Honey Industry Report, 2016. 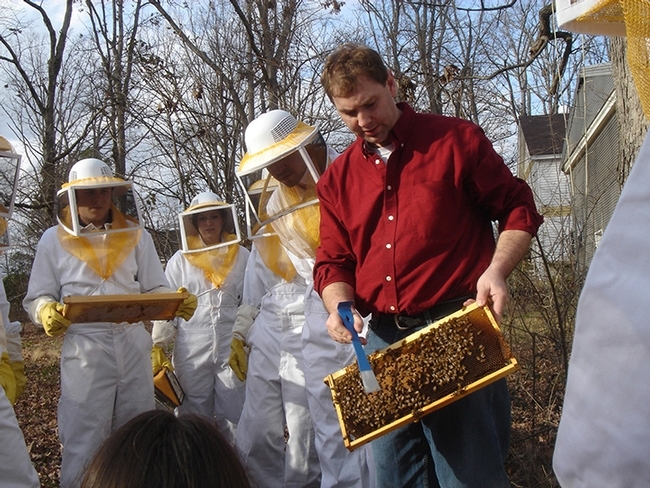 A beekeeper carefully observes individual frames of a colony to monitor for pests and diseases; monitoring is one of the most important components of an effective IPM program. Photo by Elina Niño.